AABSyS Information Technology Private Limited, a premier GIS, CAD and software services company in India, recently announced the joining of its Executive Director, Mr. Rajen Tanwar. 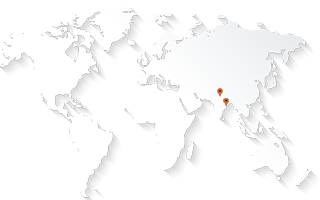 He will be based out of AABSyS Global sales office at Noida, NCR region. AABSyS Information Technology Private Limited, a leading GIS, CAD, software and IT outsourcing company in India, announced that Rajen Tanwar has joined them as Executive Director. In his new role, Rajen will have direct and independent responsibilities for charting out company’s growth path, business positioning and market penetration strategy, and will also ensure its effective execution and implementation. He will be based out of AABSyS new office in Noida, Delhi NCR. Prior to joining AABSyS, Rajen spent almost 15 years with RMSI, a leading geospatial services company and was heading RMSI’s Telecom Business Unit. His geospatial and IT experience is extensive and diverse; from opening up new markets for GIS, IT products and services, devising successful sales penetration strategies for existing markets to managing large profit centric delivery operations. His experience in business verticals ranges from utilities and wireless telecommunications, retail, navigation and location based services, land information management, land agriculture and natural resources. “We are delighted to welcome Rajen in the AABSyS management team. He comes with a highly applicable background with deep understanding of geospatial technology. I am confident that AABSyS will greatly benefit from his experience in opening new markets, running profitable delivery operations, wide industry network and the goodwill that he enjoys”, said Arun Patnaik, CEO and Director of AABSyS IT.